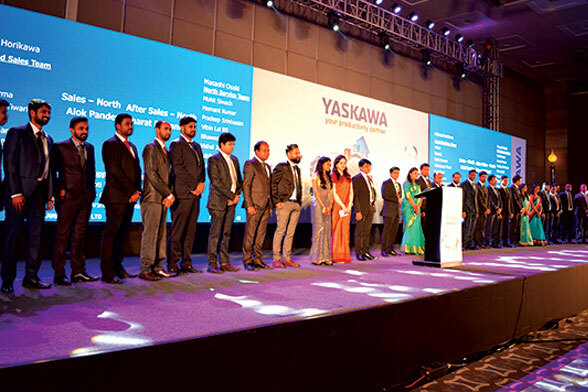 On 25th Feb’19, Robotic Division of Yaskawa India Pvt Ltd., an Indian Subsidiary of Yaskawa Electric Corporation, Japan organized its Customer Seminar at Hotel Hyatt Regency, Manesar to strengthen its bonds with customers and strategic business partners and to show its appreciation for their support in jointly achieving 2018 goals. With fortitude to always act as an efficiency partner to its customers, the theme of the seminar “your productivity partner” concluded the whole event making the aura flourishing and keeping the determination and enthusiasm of the gathering high to achieve 2020 vision. 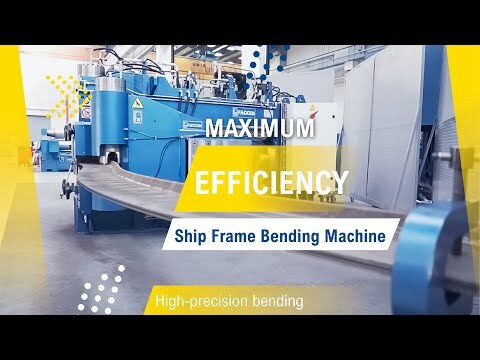 The event theme talked about how Yaskawa is trying to be a productivity partner of Indian industry by offering world’s best products, excellence in engineering, innovation, after sales support and proximity. A huge audience of 350 plus customers and strategic business partners showcased their trust and relationship with Yaskawa in its long journey of growth. 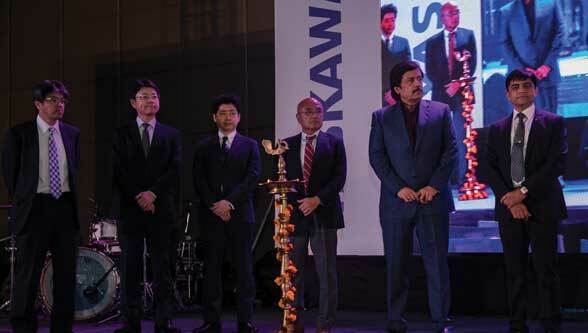 The event commenced with an auspicious lamp lighting ceremony which was attended by who’s who of Indian industry and representatives from Embassy of Japan and Japan Plus along with Mr. Akinori Urakawa – President & CEO of Yaskawa India Pvt Ltd. The dignitaries include Mr. P. Soni – Director & CEO of SKH Group, Mr. Sanjay Bassi – Head of Corporate Sourcing of JBM Group, Mr. Yuichi Koshikawa – Second Secretary, Embassy of Japan and Mr. Tomoyoshi Hisamori- Japan Plus, Department of Industrial Policy & Promotion.As the event moved further, an audience was amazed when Mr. Ajay Gurjar – Dy. COO Yaskawa India (Robotic Division), arrived on stage with MOTOMINI, the world’s smallest and lightest robot to address the audience. During his presentation on “Yaskawa – your productivity partner” he talked about entire range of robotic offerings, AC Drives and Servo & Motion control products, Industry 4.0, i3 Mechatronics, System engineering, After sales and regional support model of Yaskawa. 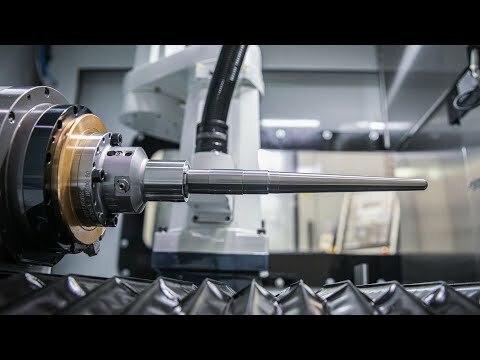 Initiatives taken by Yaskawa in establishing Robotic Centre of Excellence in various engineering institutions and acknowledgement by Indian media was appreciated by the customers. Distinguished clients, to name a few, who were present, include automotive giants like Suzuki Motorcycles, Hero MotoCorp, Honda Cars, Honda Motorcycles & Scooters and T-1 suppliers like JBM, SKH, Hema Engineering, KML, Minda, SIAC and many more. 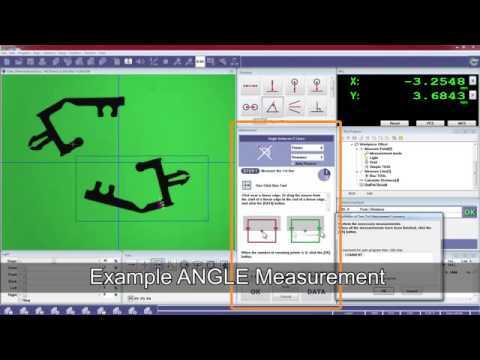 General Industry customers like Samsung, LG, Havel’s and strategic business partners like Yaskawa-Doolim, Taikisha, Techanvia, Nexgen, PAPL who are specialized in various robotics applications and do business with Yaskawa robotics, were also in attendance. Through customer voice, representatives from SKH (Mr. Sanjay Koul-– Head of Corporate Sourcing) & JBM (Mr. M.S.Rawat- Plant Head) validated Yaskawa India Robotics for their services, products & 24×7 support.The evening was followed by the Lucky Draw anonymously, having two winners of Lenovo tabs and further the gala dinner wherein all the participants enjoyed the music, fun and Yaskawa MOTOMINI serving Tequila shots, creating a great deal of bonhomie and energy to work towards the 2019 and beyond goals. The customer meet in Gurugram allowed us to share the best in motion control technology across the length and breadth of the NCR Region! !